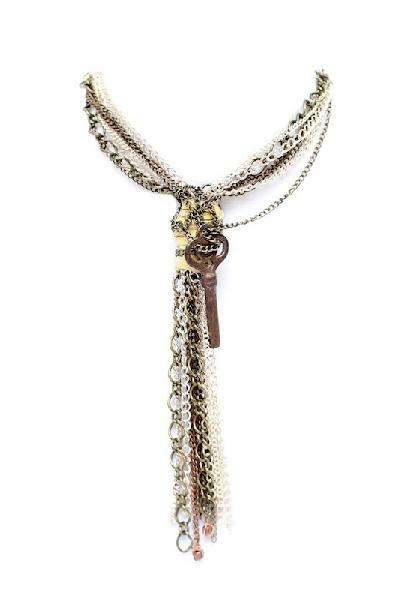 Chunky Chain and Leather necklace with vintage key detail. © Copyright 2013. DustieDawn All rights reserved.